They say ‘Every day is a school day’, even when you’re at the top of your game. And that’s why incovo invests heavily in training its team – because in an industry where technology moves quickly, it’s so important that everyone at incovo continues to update their skills and knowledge, so that the business remains one step ahead of the competition. Take Scott Prunty for example, the resident Telecommunications and Cabling Engineer at incovo. During his time at the company, he’s proved himself to be a loyal and hard-working part of the team. However, not one to rest on his laurels, he was keen to add yet more expertise to his repertoire, so he headed off to London for a week of intensive IP networking training. The course covered all parts of TCP/IP, including layers 4 to 7 on end stations as well as layer 3 on routers. It also covered the TCP/IP protocols, enabling Scott to troubleshoot TCP/IP using Wireshark. The training itself included a mix of engaging and interactive group exercises, individual tasks, discussions and workbook learning, culminating in a 1.5-hour examination. And incovo is pleased to announce that Scott passed the course with flying colours! 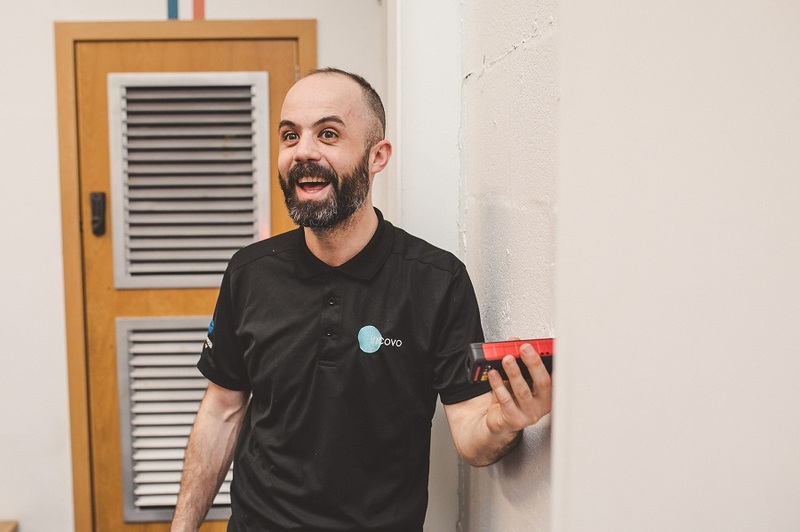 Not only did Scott attain his LINX Accredited Internet Technician 1 certificate, and come away with a wealth of new skills he couldn’t wait to put into practise, it also reaffirmed to the team how committed incovo is to personal and professional progression. Because a team that continually ups their game will always stay ahead of the competition.